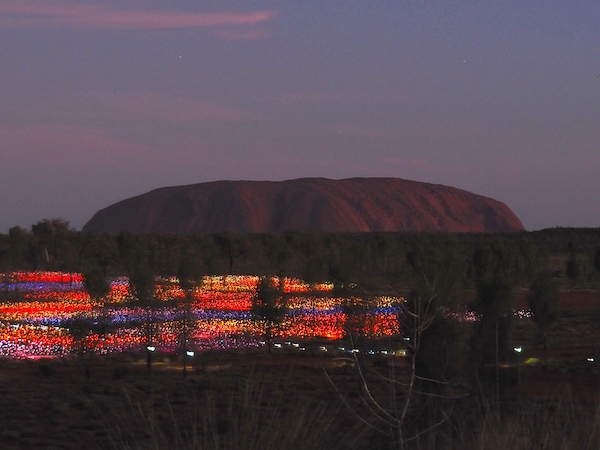 April 2016 – With the overwhelming presence of majestic Uluru majestically poised in the distance, a dazzling new art installation has been set up in the Central Australian desert by English artist Bruce Munro. 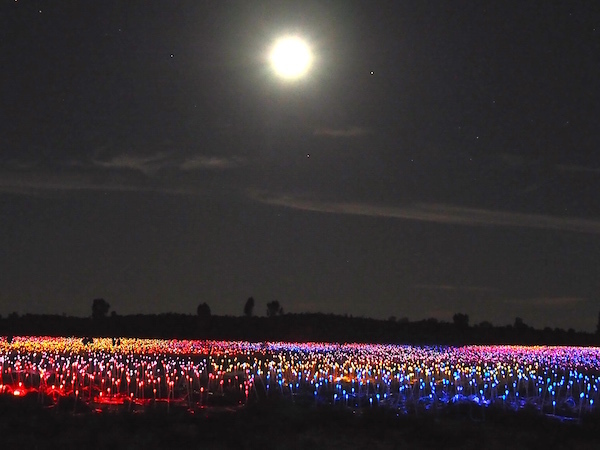 “Field of Lights” will be presented at Uluru for 365 days, ending on March 31st 2017. 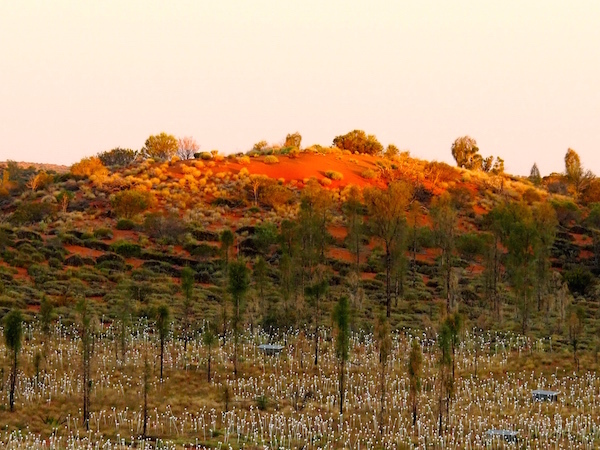 If you ever needed a reason to visit Uluru, take the opportunity while the installation is there. We wanted to share with you these wonderful photos of the majestic rock, which we experienced over the Anzac Long Weekend. 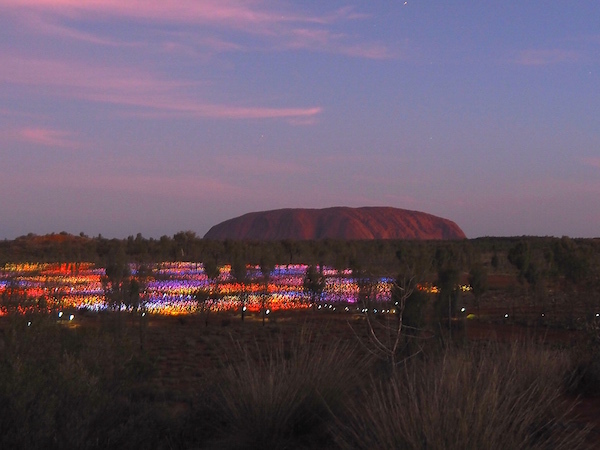 It had been 20 years since we last visited Uluru (Ayers Rock) and Kata Tjuta (The Olgas), and this visit was even more special as it coincided with the start of the “Field of Light” installation which was launched on April 1st. 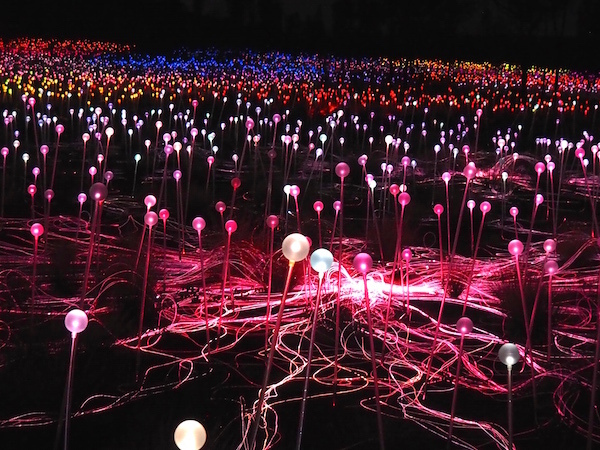 Under a full moon and a vast night sky full of stars, the Field of Light art installation, has more than 50,000 slender light stems crowned with frosted-glass spheres that start to bloom as darkness falls over Australia’s spiritual heartland. The local Pitjantjatjara community call it Tili Wiru Tjuta Nyakutjaku which translates as ‘looking at lots of beautiful lights’. STAY : The entire Ayers Rock Resort is now operated by Voyages, and is made up of a range of different styles and prices of accommodation ranging from the 5-star “Sails in the Desert” hotel; to the serviced apartments of Emu Walk Apartments; the Outback Pioneer Hotel & Lodge; and finally the Ayers Rock Campground. 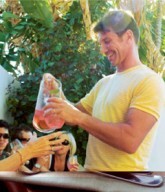 For those of you looking for an exceptionally exclusive, and expensive, “glamping” experience, there is also the exclusive Longitude 131 resort at a price of around $1100 per person per night. TRANSPORT : If you aren’t driving to Ayers Rock, our suggestion is to hire a car from the Yulara Airport so you have the flexibility of driving out to Uluru or Kata Tjuta at your leisure. We didn’t have a car so had to use the resort Shuttle Bus to get out to see the Uluru, which cost $60pp for a return visit to the rock, at specific times. The shuttle also required that you check out from your accommodation 2 hours before your flight departure, so a car will allow you to spend an extra hour at your hotel, before you need to be at the airport. FIELD OF LIGHTS : You will need to join up with one of Voyages tours out to the sight of “Field of Lights” in order to experience them. We combined the Field of Lights with the famous “Sounds of Silence Dinner” which allowed us to have a meal under the stars while watching the field come alight. The dinner also included a short talk by an astronomer who explained the many stars, planets and constellation that were visible above us. 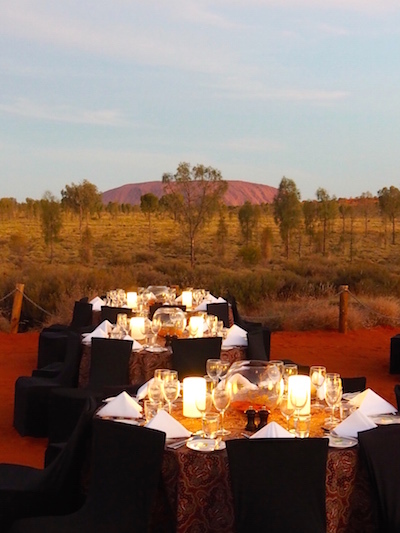 Please don’t hesitate in contacting us at nico@urbanprovider.com.au and we will be happy to share our tips with you, if are planning on visiting Uluru in the future!